Brent and I tried something new yesterday for our Super Bowl meal. Brent handled the appetizer: he made some eggrolls. I’m not so sure how he made them. I think he sauteed some cabbage, carrots, and serrano chiles along with some fish sauce or something. 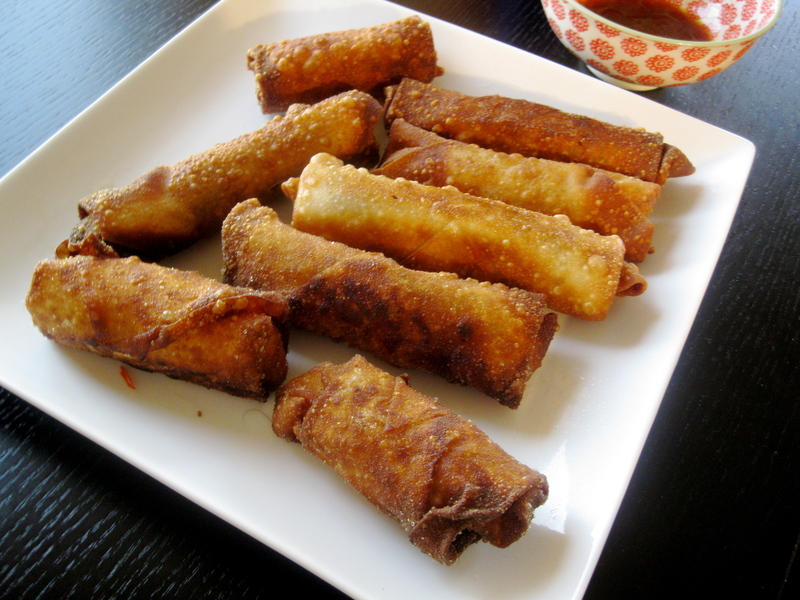 Then stuck about 2T of filling into an egg roll wrapper, rolled ’em up and fried them. A few hours later, I made something I knew Brent would like: Red Thai Duck Curry from the Pioneer Woman. As soon as I saw this posted, I thought of Brent. He had some red duck curry at a Thai place the first week we were here and raved nonstop about it for like 2 weeks. I followed her recipe, using duck hind quarters rather than breast because it’s what my market had. We really enjoyed this, with one exception. We hated the tomatoes in it. Like really. Both of us agreed on this point and we picked the tomatoes out of the leftovers. Other than that, this was pretty fantastic, and probably the most authentic tasting Thai food I’ve made to date. It was not super spicy at all. I ate it very comfortably, so it could probably use a bit more heat. Posted in Uncategorized and tagged curry, duck, Thai. Bookmark the permalink. Brent went to a beer festival last weekend and mentioned that Whole Foods had a stand there and he enjoyed some sort of “curried couscous thing” from them. I Googled “whole foods curried couscous” and found this recipe and told Brent to make it. The dish was pretty good, and reminded me of fall, maybe because curry is so warming. We used Israeli couscous, because it is infinitely better than the little couscous. At least we think so. Brent forgot the peas, but I forgave him because that’s what marriage is all about. But, I think the peas would have been a very good addition. I have no idea what our plans for the rest of the evening are, but I’m hoping to regain consciousness at some point. Hope everyone has a great start to the weekend! 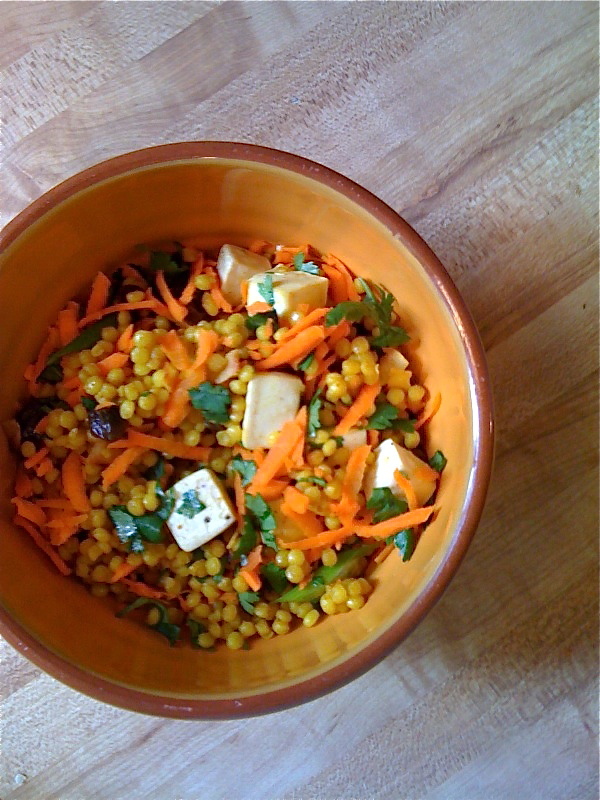 Posted in Uncategorized and tagged couscous, curry. Bookmark the permalink. Sorry for the lack of posting. I think I got food poisoning last week and my appetite has been really off for the past few days. Before that happened though, I made this Shrimp & Mango Curry from the Mayo Clinic Cookbook, which I love! I’ve been wanting to try this recipe for a while, but I wasn’t sure how Brent would feel about it. This recipe was a hit. Brent’s opinion: “I wouldn’t have chosen it. 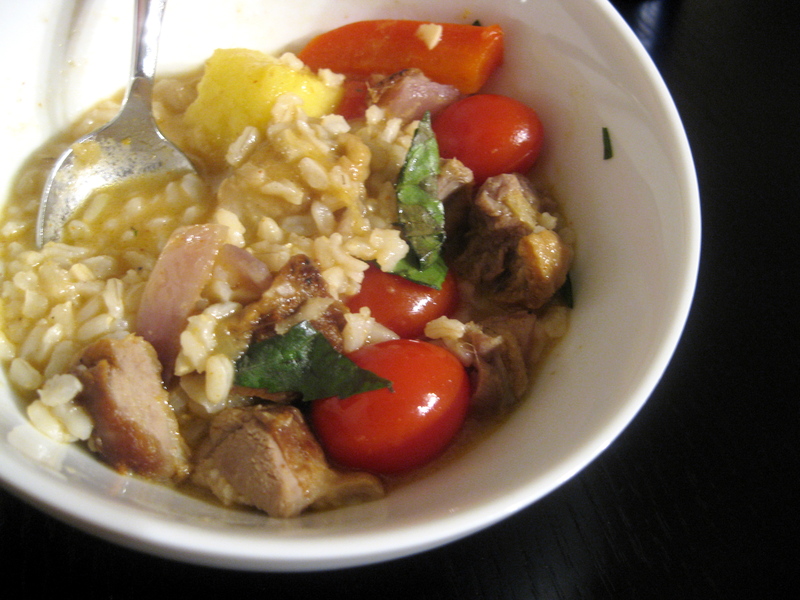 The mango threw me off, but I think it’s really good.” I made enough for leftovers and he enjoyed it even more the next day. I served the curry over brown and wild rice, which came from a Minute Rice Cup. I just found these at the store and they are super convenient. Each cup is one serving and the package comes with 2 cups for $1.99. It’s a bit pricey for something as simple as rice, but it saves time and I stink at making rice anyway. In other news, I really LOVE my pediatrics clinical. No one is more shocked by this revelation than I am. I was convinced I would just be “surviving” this clinical, but I really like working with kids and their families. Considering I’m on the fence about having kids myself and I generally find other people’s kids annoying (that sounds mean, I know), I was so surprised how comfortable I feel working on this unit! In a week or so I will be transitioning to the labor & delivery unit, which I’m still nervous about. 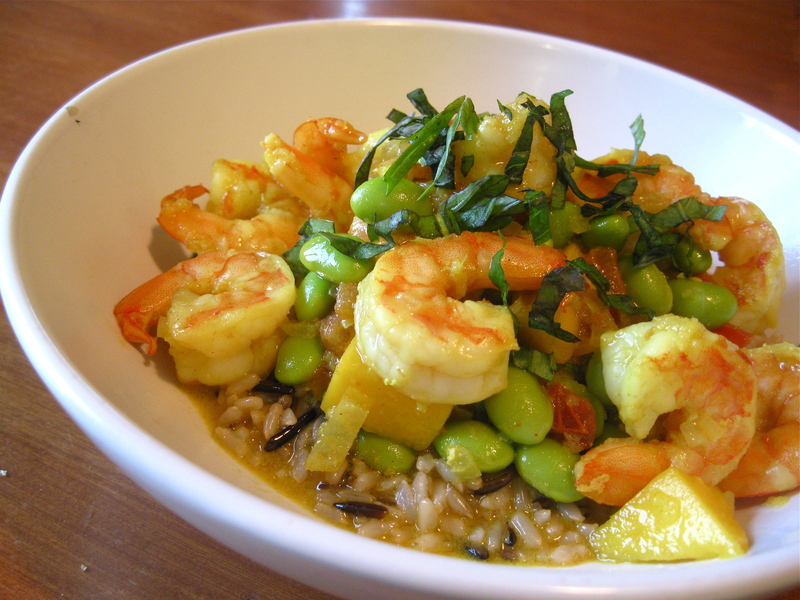 Posted in Uncategorized and tagged Cookbooks, curry, Shrimp. Bookmark the permalink. 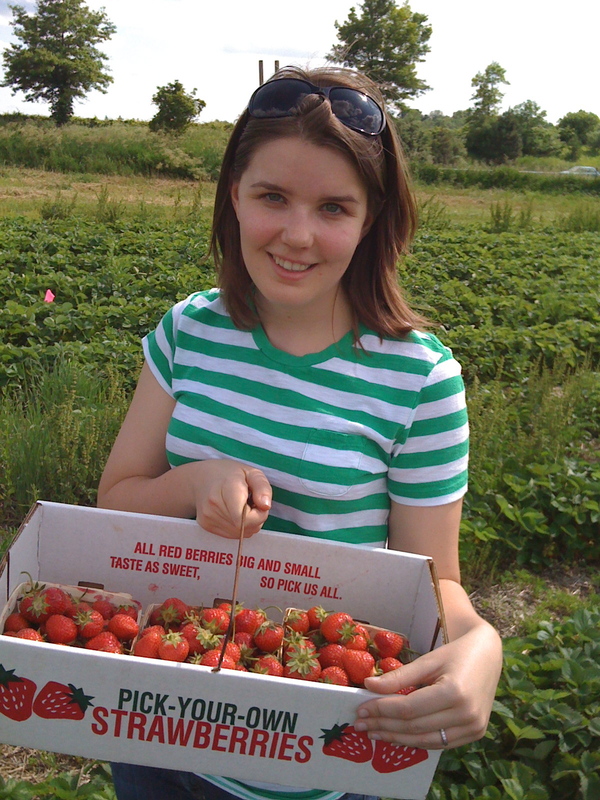 I'm Victoria, a twenty-five year old registered nurse living in Seattle with my husband and two dogs. Why The Idle Loaf? My husband came up with the name, which according to him, implies that baking is my hobby, but also that I'm kind of lazy. Guilty on both accounts.